When I am travelling, pizza and phad thai I miss the most. We are so lucky to have so much variety in good food in Melbourne, it is sometimes difficult to adjust to a standard cuisine in another country. Whilst I have not been away long enough for the cravings to start, I was very excited to try an exceptionally good pizza restaurant in Rio. 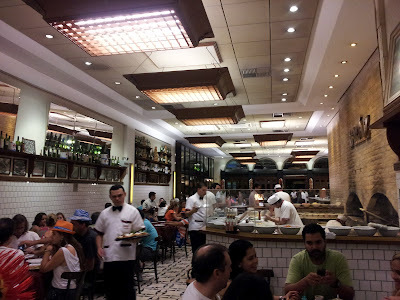 Braz is a restaurant from Sao Paolo that have opened shop in the calm streets of Jardim Botanico in Rio. With a massive dining area and open kitchen, I was not only surprised to find this place served delicious pizza, but that they could do it in such quantities. 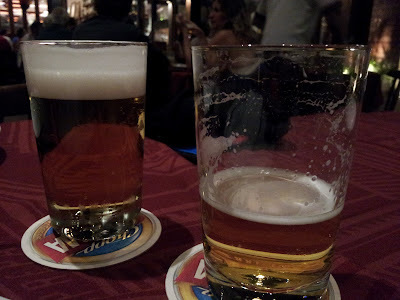 The other fine thing about this place is the chopp (creamy draught beer served with a big head). Whilst I don’t usually drink much beer in Australia, the heat and quality of it here have seen me craving it and enjoying a glass full most days. The setting in the back, semi-outdoor room is very pretty. The bathrooms with a reflective garden attached were a topic of conversation. The bases are doughy and cooked in a wood-fired oven. The eggplant pizza was delicious with a tomato base, lots of soft, garlicky eggplant, mozzarella and the extra pique of parmesan. 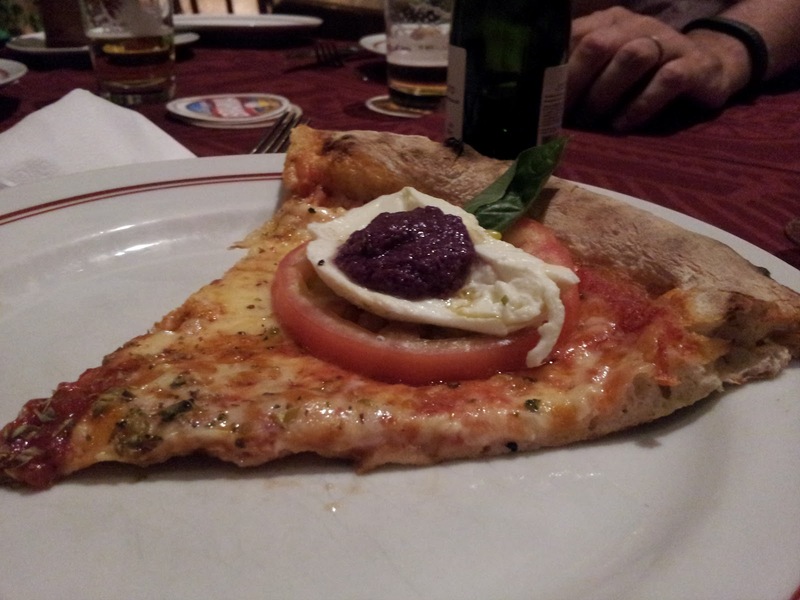 The Caprese was like a caprese salad on top of a margherita pizza with big slices of fresh tomato, mozzerella and basil. The difference in this one was an olive tapenade generously dolloped between the cheese and basil. 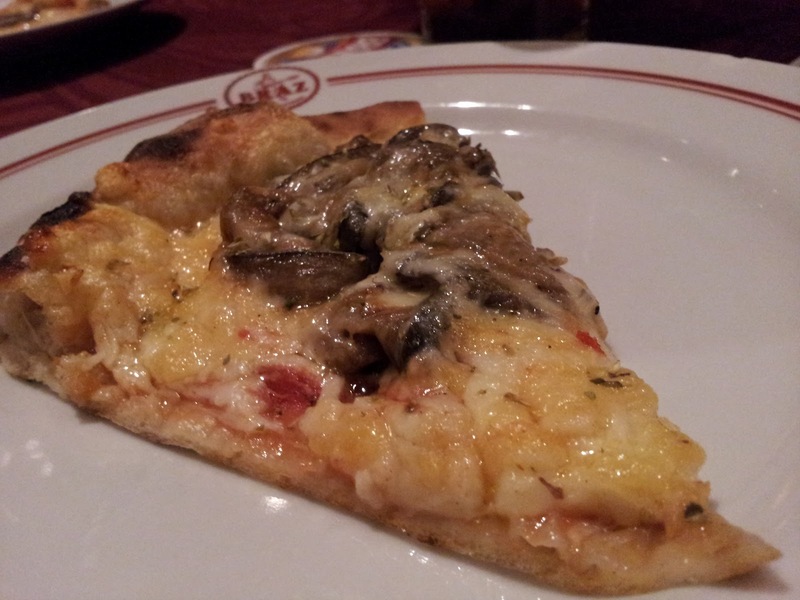 The pizzas are brought over whole then served up as slices on your plate by the waiters. Luckily they left the rest on the table so that we could serve ourselves more when we wanted. 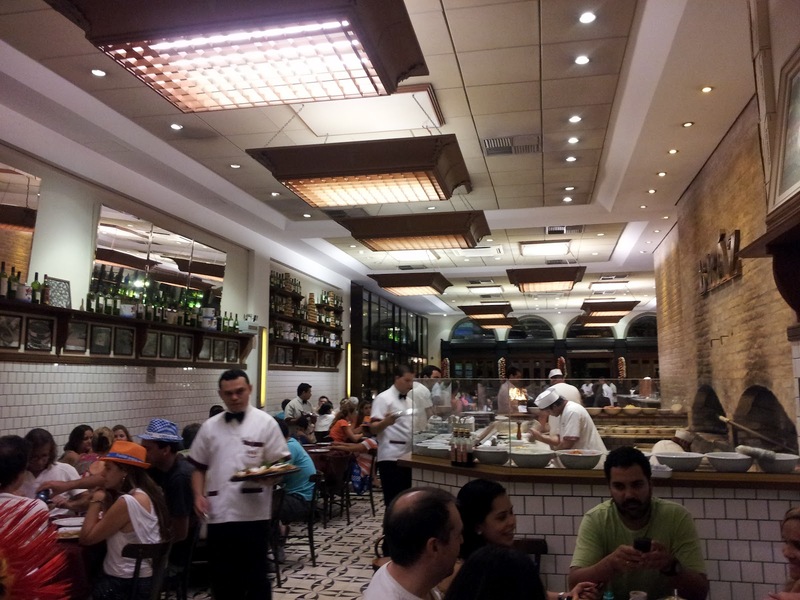 In general, wait staff get paid extremely little in Rio which makes any rudeness understandable and any service a surprise. We found the staff at Braz in the latter group. Despite its size tables fill up and you may have to wait for a table later in the evening.